I’m here to give you some proven tactics and tips you can use to write amazing AdWords ads that will bring you higher click-through rates, higher Quality Scores and higher conversion rates. Because many of your competitors are using dynamic keyword insertion and bidding on similar keywords, you’ll notice that a lot of their ads say the same thing. It’s easy to get lost in the mix and hurt your chances of getting that click – so how can you stand out? Advertisers sometimes lose sight of what their customers are truly looking for. I call this “The End Goal:” what people ultimately want to accomplish with the help of your product or service. Understanding this can be the secret to writing an ad that stands out from the sea of DKI keywords. Your headline shouldn’t ask prospects if they’re “Dealing with Acne?” – as the advertiser, you already know that they are. Don’t give up very precious headline space for something you and the visitor already know. Instead, give visitors that end solution they’re looking for. Worried about your PPC account? Wondering how you measure up to competitors? Get a free AdWords Performance Grade! What if you’re a car buyer who purchases cars from the general public? WeBuyCars.com tells the visitor they’ll buy the car – which mirrors the prospect’s end goal. Why? Because the goal of the searcher is to have someone buy their car. How they go about selling it isn’t as important as actually getting it sold. With a headline like “Sell Your Car Today,” the searcher might wonder if they have to list their car themselves on an AutoTrader-like platform and field calls from a ton of tire-kickers who aren’t really serious about buying a car. Or even worse, will they get a call back from seven interested companies who will spam them until they die? I’ve run this test, specifically for a car buyer, pitting “Need To Sell Your Car?” (control) versus “We’ll Buy Your Car Today” (variation). 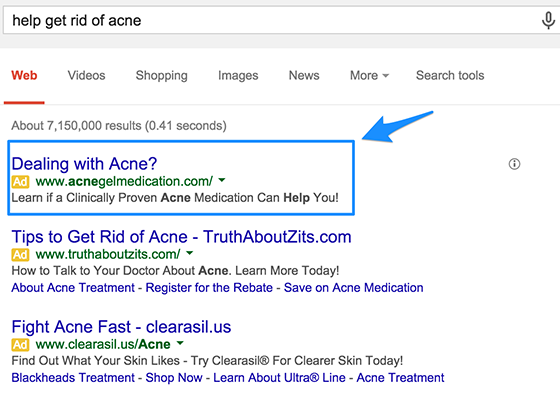 This simple headline tweak resulted in a 30% increase in conversions. This commonly known psychological force is called loss aversion and it can be a powerful way of boosting your Google Ads click-through and conversion rates. Luckily, injecting a little FOMO into your ads isn’t very hard. 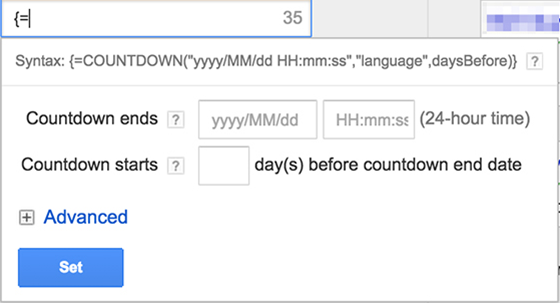 This is what the countdown dashboard looks like. After you set the end date, your ad will include a countdown in real time. Visitors seeing your ads will be motivated by their fear of loss, giving you the edge over your competitors who aren’t using this tactic. They’re not the only ones to have seen success with this new feature – Clarks America saw a 32% increase in CTR and a 3% increase on conversion rates from using the countdown timers. Now that we’re on the subject of time, have you ever felt that certain things are more relevant or exciting when they just happened? Have you tried testing copy that states how many customers you serviced last month or this year? The result? The more timely, current ad saw a whopping 217% increase in CTR and 23% improvement in conversion rates. Just kidding, the new ad did! It actually received an 88% higher click-through rate at a confidence level of 99%. Why did this happen? The specificity of the new ad could have made it just a tad more credible than the control ad. How could we make the ad perform even better? By getting even more specific. It’s been shown that specific numbers like 1,542 can improve performance over round numbers like 1,500+. If you're including a number, write out the exact number! The more specific you are, the more believable you become. And the more believable you become, the bigger your chances are of becoming the next David Blaine, or just really good at giving people a pleasant experience. When it comes to writing ads, do you sometimes fall into the trap of being a little egocentric? Do you use words like “we,” “us,” “me,” “myself” and “I”? Words like that fail to focus on the customer's needs and can hurt your chances of getting a click – not to mention they've been shown to hurt conversions on landing pages, too. The second-best word is “you.” The best word is the customer’s name. Since we’re still in the stone age of advertising and can’t add the visitor’s first name to our AdWords ads automatically, we’ll have to settle for second best. Which one stands out and gets you most excited to click? One could argue both Shopify and Volusion do a great job, but we all know that AmeriCommerce struggles. “Awarded “Best eCommerce Solution”? Ptssshh. Enough about yourself. What can you do for me?! Find opportunities where you can include the word “you” in your headline or first description line. And as always, lead with benefits. 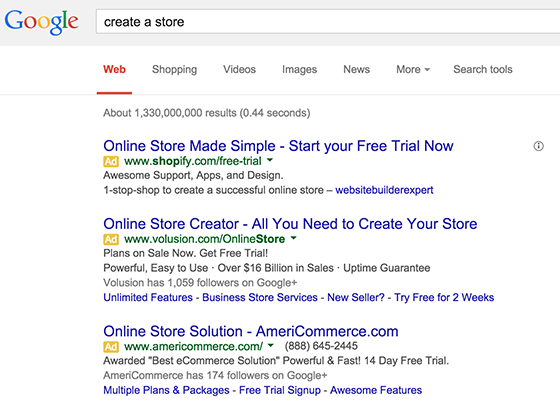 A lot of advertisers target more than just one city when creating their Google Ads campaigns. Many even advertise nationally. Even if you offer services world-wide, you want to be welcoming to your potential customers and show them that help is right around the corner. 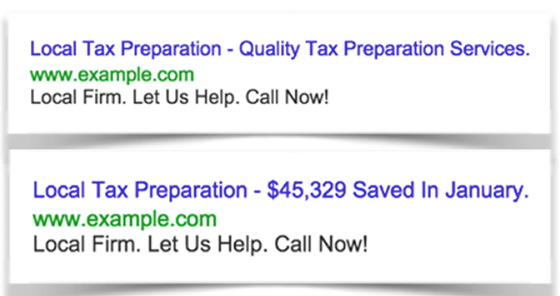 You may already have a 800 number that you use for all your Google Ads call extensions and landing pages, or maybe even a pool of 800 numbers. But did you know that having phone numbers with geographic proximity to the visitor can double your conversion rates? Yeah, believe it or not, your 800 numbers could be working against you. 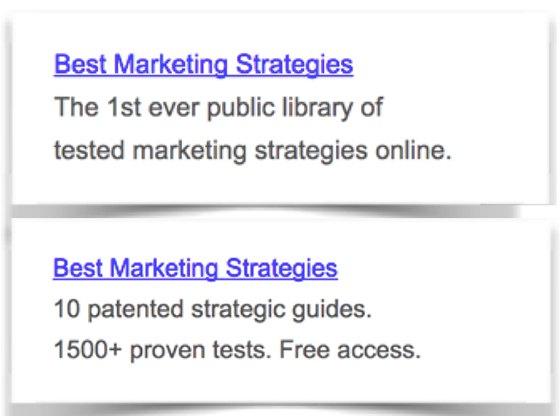 So how can you put this to the test in your Google ads? By creating geographic-specific AdWords campaigns and have your ad copy and call extensions specific to that geographic area as well. The goal here is to let your prospective customers know that you’re right around the corner, with a helping hand. 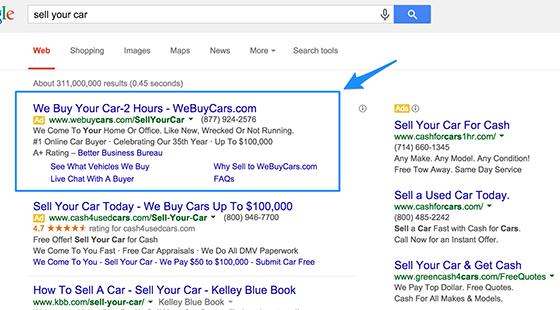 If you’re still using the regular Google call forwarding in your Google Ads call extensions, stop it immediately. Go to a call tracking provider and start buying all their local phone numbers. With so many of your competitors worrying about 1,000 things other than writing better ads, you now have the ammunition to make your Google ads the most glorious ads in the world (read: the best-performing ones). That is, if you start testing today. This post originally appeared on the Unbounce blog.